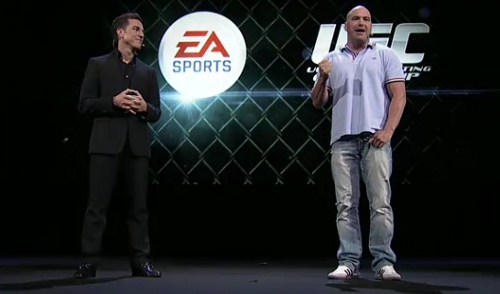 A huge announcement out of the EA press conference as the company has secured the license for UFC which had been with THQ. The deal there was scheduled to run through 2018 but the troubles with the company financially – and their inability to grow the franchise – led them to (as now is known) sell the license to EA with UFC’s approval. This despite Dana White’s statements in the past that he would never work with EA. EA Sports MMA was a good first effort with some fantastic online features and the company even had a sequel deep into development when Strikeforce was bought out by UFC parent company Zuffa. That essentially killed any chance of EA’s series returning and sales wise their prospects were grim regardless. Now with UFC they have the biggest brand on the planet. More on this news to come later.